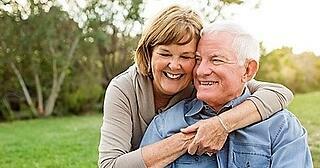 You are 65 and now qualify for Medicare coverage. This is a wonderful benefit that you have earned, but as with any insurance, you need to understand what Medicare does and does not cover. As everyone's needs are different, you will most likely need to purchase Medicare supplemental coverage to help fill in the gaps of what Medicare does not cover. There are specific deductible and co-insurance requirements in the Medicare A and B insurance to limit the expenses of the government. With a New Hampshire supplemental Medicare insurance policy, you can fill in the coverage so that you are better protected. NH Supplemental Medicare insurance is very competitive so that the price is inexpensive compared to the benefits it provides. If you are worried about getting "nickeled and dimed to death" every time you visit the doctor's office, you most likely need a Medicare supplement coverage commonly referred to a Medicare gap insurance. This will either reduce or eliminate those out-of-pocket expenses. If you are visiting the doctor frequently, these "small" bills can really add up, so this is an important coverage to consider. Though Medicare covers many expenses, it is not designed to cover everything. There are strict limits on the type of treatments and medicines that are covered under Medicare. Maybe a doctor or medicine you have relied on for years is no longer available to you. With Medicare supplement insurance, you can often choose your own doctor. You will be able to let your medical needs dictate your treatment, not your coverage. HPM Insurance is based in New Hampshire and has offices throughout the state including in Amherst, Bedford, Bristol, Laconia and Franconia. We have been answering questions about Medicare since it was enacted in 1965. We have been around for generations and understand that with change come questions. We have the experienced staff that can answer the questions that are important to you. At HPM Insurance you have a small team working directly with you, so you can get the personal attention you deserve. You will never have to work through an endless voice-mail system and re-hash an issue multiple times to different people. We are small enough to give you personalized service, yet large enough to give you choices in coverage. It is a win-win!